Mobile web app with audio review content enables you to review on the go. Format based on student input ensures the review guide fits the needs of today’s busy students. 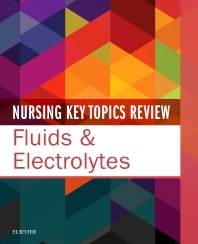 NCLEX-style review questions with answers and rationales are infused throughout the guide to assess your retention and understanding of material. Emphasis on critical, practical, and relevant information reduces overall study time. Tables and illustrations further enhance your learning and retention. Bulleted content helps you cover more information in a shorter amount of time.